in·del·i·ble/inˈdeləbəl/ Adjective: 1. Making marks that cannot be removed. 2. Not able to be forgotten or removed. 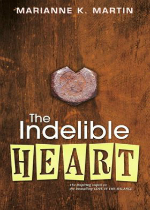 The Indelible Heart (Bywater Books) is described as re-introducing the four characters from Love in the Balance: Sage and Deanne, Kasey, and Connie; however an appropriate subtitle would be “Sharon’s Fight.” The novel revolves around the character of Sharon, Kasey’s partner in their construction company that purchases, renovates, and sells houses. Martin drives home the basic themes through the intensely personal experiences of Sharon that not only assault her weaknesses, but also bring her to appreciate and rely on her strengths.Martin’s book centers around murder, especially as a hate crime committed against gays and lesbians. 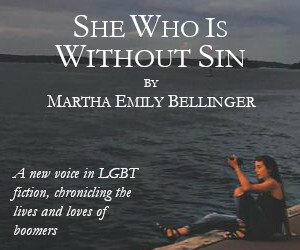 The title accurately describes the novel’s other intricately intertwined themes: the indelible nature of friendship and love; the enduring marks the murder of gays and lesbians leave on survivors, known and unknown; and, how the never-ending need for legislative and social change are challenges for every person empathetic to LGBT issues. The introductory dedication, acknowledgment and foreword to this “fictional” story further drives home the meaning of the title and sets the tone for the entire book. Sharon is working with Kasey on a project necessary to keep their company financially feasible, when she sees a small article in the middle pages of the local newspaper. The son of the man who had murdered two of her dear friends has asked the governor to release him. The murderer is terminally ill and the family wants him to die at home. In Sharon’s eyes, this just cannot be. The district attorney had considered the crime to be about property lines; had considered the victims’ sexual orientation was unrelated. Even more infuriating to Sharon was knowing the hate crime law was still languishing in the legislature. Kasey tries to calm her friend down, pointing out the impact gay and lesbian organizations had at the time of the murders. She reassures Sharon that activism will work against the release. The murders had taken a tremendous toll on Sharon. 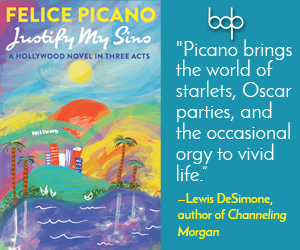 All of her friends, Kasey, Connie, Deanne and Sage, even her lover Laura, had been recipients of Sharon’s rage as she descended into alcoholism and depression. This disastrous past was the basis for Kasey’s fear about the effect the governor’s release could have on her friend. Ultimately, Kasey is right to worry. Martin’s book is, unfortunately, still a timely reminder of the legislative problems with hate crime laws that would protect the LGBT community. Currently only 45 states and the District of Columbia have hate crime statutes, and these only include race, religion, and ethnicity. Only 31 states have statutes that include sexual orientation, and even more distressing is that only 13 cover transgender/gender-identity. (Wikipedia,October 6, 2011) These statistics clearly indicate the continued need for activism directed not only at having appropriate statutes passed, but also to the marginalized groups included in the wording. Overall, Martin’s story, like her others, are poignant. Her treatment of sexual intimacy among lesbians has a certain beauty and elegance. This story portrays the power of friendship, and how important it is to the mental and physical health of the individual. In essence, The Indelible Heart is a story of weaknesses and strengths not only of the individual, but also of groups, whether social, political or organizational.